Martek were shortlisted as finalists for the second year in a row at the Construction News Awards for Sustainable Company of the year. Martek were shortlisted as finalists for the second year in a row at the 2015 Construction News Awards for Sustainable Company of the year. 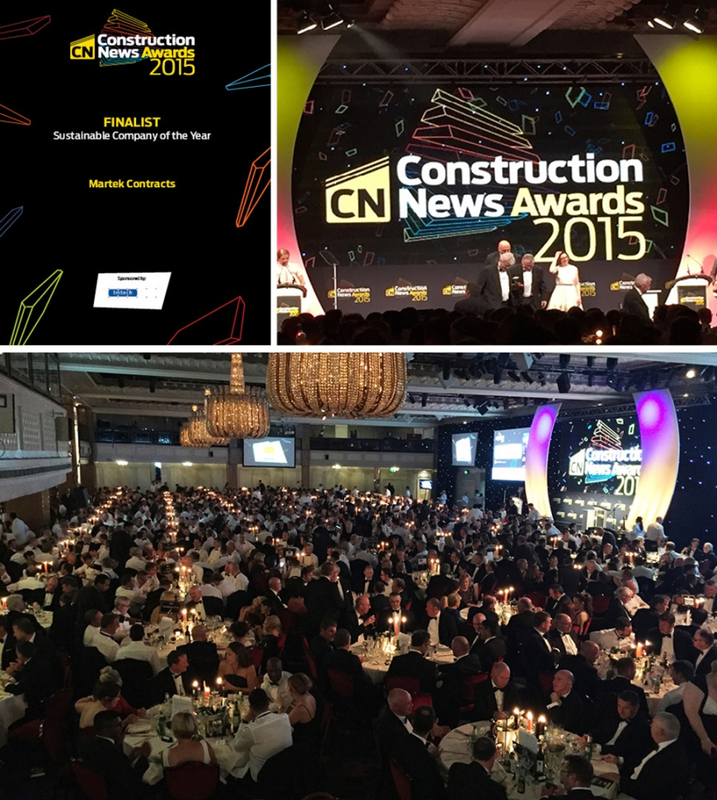 The award ceremony was held on 30th June at the Grosvenor House Hotel – the largest construction celebration event of the year!